Brazilian Blowout’s recent press release states that ZERO produces the same results as their original formula, only without the unsafe amount of formaldehyde that caused so many problems for clients and stylists alike. Unfortunately, it’s hard to trust a company that has made endless excuses, rather than simply letting their customers know exactly what’s in their products. 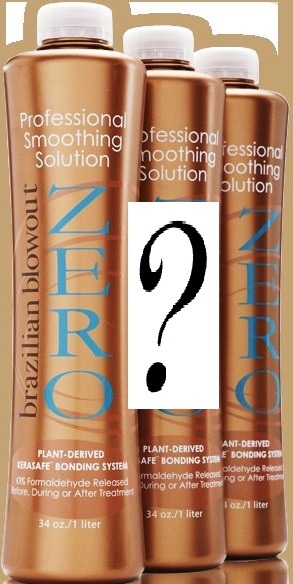 How can clients believe that Brazilian Blowout’s new ZERO is truly formaldehyde-free after the company has made these same claims before? On Brazilian Blowout’s website, they still claim the original product to be formaldehyde-free. The company is facing a storm of legal attacks – the state of California is suing Brazilian Blowout for false claims to consumers, and several salon owners have filed lawsuits as well. All Brazilian Blowout products are banned in Canada. Even though Brazilian Blowout may claim their new product ZERO is free of formaldehyde, stylists and clients should be wary of a company that has been less than truthful in the past. These chemicals are no joke – stylists need to know what they’re being exposed to on a daily basis, and clients need to know what’s being put in their hair. With Lasio products, you can rest assured that you’ll be 100% informed about the formulas, application, after care and anything else you want to know. Safety is our number one concern, and we’ve developed a product that will give you smooth, gorgeous hair with no strings attached. Here at Lasio, we have developed the Safety 1st program to be completely sure that our stylists and customers are fully informed about all things keratin. We’re honest about our ingredients, serious about safety and completely dedicated to producing the highest-quality keratin treatments without the harmful effects. Our Safety 1st article outlines some precautions that should be taken before, during and after any keratin treatment. Check out our Keratin Tropic FAQ and our Instructional Video for everything you need to know about a truly formaldehyde-free keratin product that really works. Brazilian Blowout also listed their full ingredients the last time, when the test results proved insane amounts of formaldehyde. Why believe them this time?